Chick-fil-A will be handing out free sandwiches in Vero Beach. 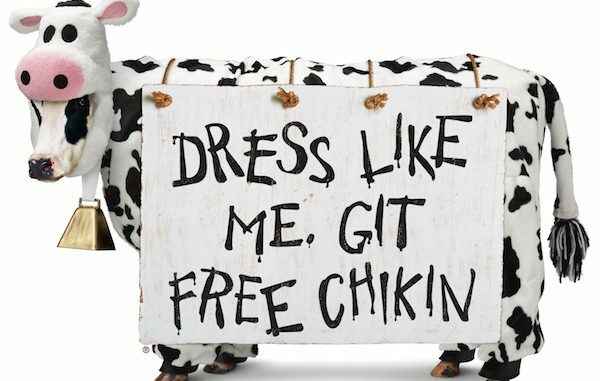 VERO BEACH – On Tuesday, July 11th, Vero Beach customers who dress up as cows will receive a free entree at Chick-fil-A for Cow Appreciation Day. The Cow Appreciation Day celebration in Vero Beach will last from store opening through 7 p.m. local time. Chick-fil-A fans can also share pictures of their costumes on social media by using the hashtag #CowAppreciationDay. Additionally, the Vero Beach restaurant will have an active Cow Appreciation Day Snapchat filter that will allow guests to share their experience with friends and family. Cow Appreciation Day is Chick-fil-A’s largest, single-day customer appreciation event and celebrates the quick-service chain’s iconic “Eat Mor Chikin” Cows. 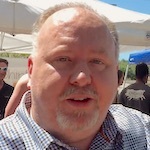 Chick-fil-A first introduced the Cow campaign in 1995 as a three-dimensional billboard concept depicting a black-and-white cow sitting atop the back of another cow painting the words “Eat Mor Chikin” on the billboard. Since the first billboard more than two decades ago, the “Eat Mor Chikin” Cows have reached millions on television, radio, the internet and the occasional water tower to become one of America’s most popular advertising icons and a member of New York’s Madison Avenue Advertising Walk of Fame. See you Tuesday at the Vero Beach Chick-fil-A for the Appreciation Day.